Summary: An Albanian family is torn apart by a murder. Review: Some traditions are difficult to understand. 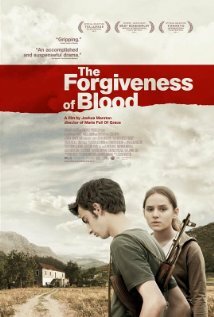 This movie shows one of them, applied in Albania, regarding rival families involved in a blood feud. After a killing, Nick as the elder son of the aggressor, quickly becomes a target for the victimized family, having to remain in his home as a way to show respect. The movie clearly shows what was supposed to: the lack of freedom, the eminent security threat, the economical issues, the sacrifice of school in favor of work, etc., but some questions started to arise. What happened to the family in punishment? They will have to live that way forever? Regardless all the doubts, you can’t help thinking about this odd culture, even if the story never get us out from its routine. Relevant awards: Special mention and best screenplay (Berlin).